The car rental business never stops changing, and neither do we. In order to keep up with the fast pace of the modern car rental industry, we keep our focus on continuous improvement for our franchise owners , our corporate owned and operated locations and our support team. ​​​​​​​Our franchised owners have greatly benefited from a structure that puts them in the driver's seat, and H.Q. support on board along every mile. Best in class training, delivered by the 2016 Professional of the Year Pat 'the Trainer' Bowie. Recognized by the industry as the best in the business at training for car rental owners, managers and counter staff - Pat's resources are exclusively made available to franchisees and corporate employees of our family of brands. Profit Groups, three regional groups of franchised and corporate locations, now meeting for their 8th consecutive year. These moderated peer-to-peer groups share best practices among franchise owners with a focus on building profitability. Any owner can join and participate at no cost in this company sponsored program. Award winning leadership. Recognized by the industry for his lifetime of achievement in car rental, Michael DeLorenzo is the Senior President of NP AutoGroup, a board member of the American Car Rental Association and the recipient of the 2016 Impact Award for the car rental industry. Paying attention to our customers - utilizing Net Promoter, a leading edge customer satisfaction indicator to track our product and performance at the store level. In 2017 we integrated our internal review functionality into our website leading us to be the first national car rental agency to have our website reviews indexed and starred independently by Google. 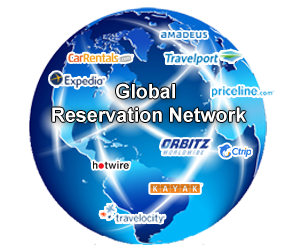 Reservation network with major GDS/OTA (Global Distribution System and Online Travel Agents including reservations through Expedia, Travelocity, Orbitz, Carrentals.com, KAYAK.com and others. On-site visits with franchise owners, by our seasoned field operations team, a minimum of once per year to foster a profitable relationship. Comprehensive in-house fleet purchase, fleet leasing and a funding program backed by Wells Fargo. Refreshed web-based marketing via our brand's sites with a new look and feel, including mobile device sites and an improved on-line reservation link to our point-of-sale system (P.O.S.). SEO and pay-per-click advertising to pull through more traffic and sales. All-encompassing P.O.S. system. Easy to use, learn and compatible with QuickBooks to ensure reports and reporting are a breeze. Collaboration to extract the needs, new ideas, and support of owners through the franchise advisory council. A lower 'barrier to entry' in joining our system. Initial and on-going franchise fees are the lowest of the U.S. brands in our industry. We encourage you to contact any of our franchise owners. The sheets attached include our current owners; one lists locations by State, the other by their participation factor. Should you wish to align your investigation with locations, markets or owners similar to your goals and skill level, please ask for recommendations.